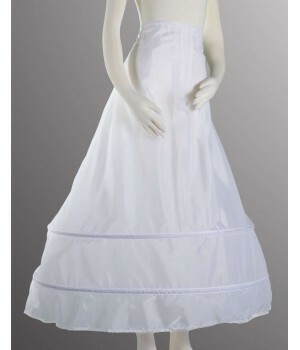 Petticoats, hoop skirts, crinolines are all underskirts that add shape & structure to your dress or gown. Tutu skirts are just plain fun! Give a little extra shape to your favorite skirt, costume, or gown. Back in the day (1950s or so), no self respecting girl would wear a skirt without a bouffant style petticoat. Adding width to the hips, they help give the illusion of a smaller waist and more hourglass figure to balance the breasts. Hoops skirts date back further still to the days of Scarlet O'Hara and big, antebellum gowns when the underskirt was just one part of the complete ensemble and to the turn of the century under big, bustle Victorian gowns. While no longer considered a must, petticoats and hoops skirts are a great way to give a little extra lift to that dress or costume. From short and sassy to long and elegant, they are often the extra touch your Halloween costume, wedding gown or prom dress needs. 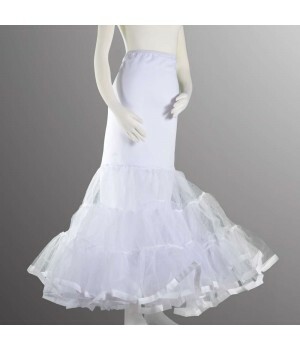 And of course retro and vintage clothing lovers need a petticoat to make the dress period perfect! Our short tutus are great for dancers and those who just want to have some fun! Of course any of our petticoats can be worn on their own - layer a couple together for a more modest, opaque look and have fun with colors too. These petticoats and tutus look awesome with corsets and waist cinchers!